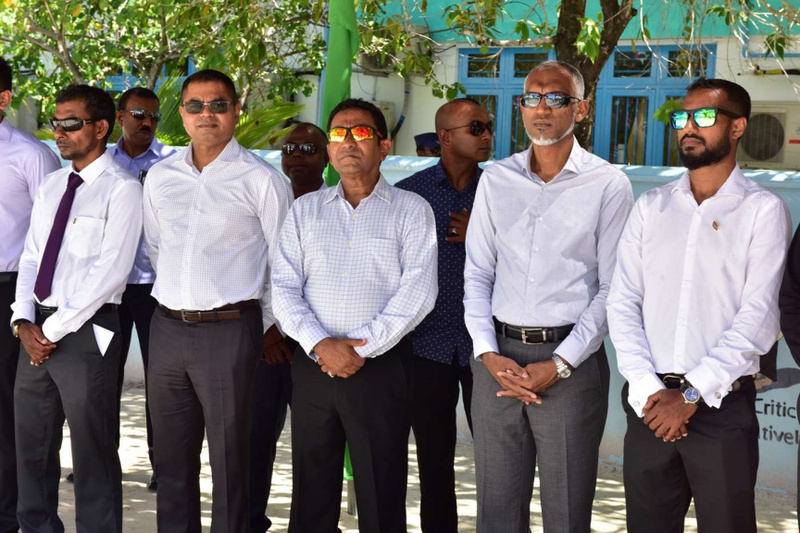 The opposition has not yet declared how they plan on generating income, says President Abdulla Yameen Abdul Gayoom, who is up to re-election this year. Speaking during his visit to G. Dh. Madaveli as part of his current tour of islands in G. Dh. Atoll and G. A. Atoll this Tuesday, Yameen said he is yet to hear any plans by the opposition on generating income. Yameen addressed the comment made by opposition’s presidential candidate, MP Ibrahim Mohamed Solih (Ibu) that he plans on privatizing some of the businesses run by State Trading Organization (STO). He said that if STO downsizes its business to just import of staple products, then it would not be possible to build pharmacies on every island. 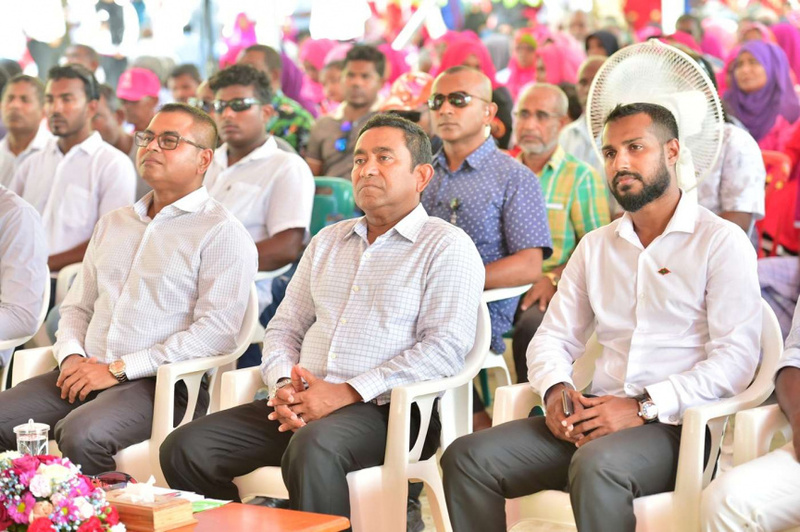 Yameen said the opposition’s Jazeera Concept for self-sustaining islands wouldn’t be enough for people to live on, and that people need income generated by the State to live a comfortable life. He said the staple products imported into the country by STO cannot be kept stocked in ordinary warehouses for long periods of time. And that if staple products were sold by ordinary citizens, the prices wouldn’t be as low. And if STO stopped importing fuel, a large portion of the population would have to live without electricity, said Yameen. He said that Fenaka Corporation has to pay MVR 500 million to STO for the fuel it needs to generate electricity. And that 24/7 electricity can only be ensured if STO remains a State company and supplies Fenaka Corporation with the fuel it needs. “They are talking about dissolving STO. First of all, it will result in loss of employment to many. 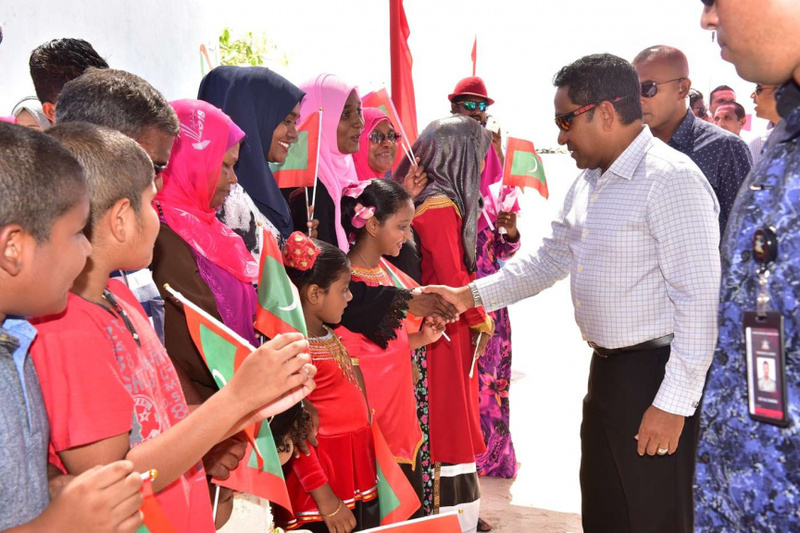 Second, it will result in shortage of fuel needed to provide basic services to the people,” said Yameen. He also addressed criticism by the opposition over failure to implement Qisas (the Islamic law for retributive justice) as promised by his administration. He said Qisas will be implemented once all procedures are complete. “Do not challenge me. Qisas will be implemented during my administration, In Sha Allah. Isn’t this why the opposition is travelling to other countries to talk about this and bother the State?” said Yameen. Yameen also spoke about several of the infrastructure development projects being undertaken by his administration. He said that waste management had once been a huge issue in Male’ City, but the people of Male’ City have now forgotten when they even had such an issue. Yameen said he has successfully solved many issues faced by the people, and continues to make development plans. “But what my rivals always point out when I accomplish something is another thing what remains to be solved. And if I accomplish something they will say I took too long,” said Yameen. He said that his administration has run six times as many projects for every project run during Maldivian Democratic Party (MDP)’s administration.